RI finished the fabulous prize last night. 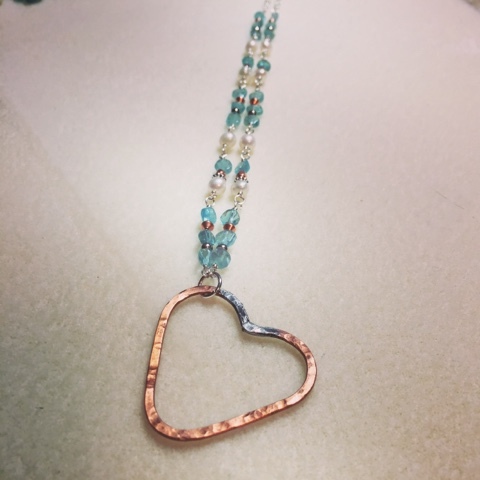 I love, love, love how it turned out and can't wait to make some more soldered copper hearts! Best news ever - Julie loves it! I decided that for my fabulous prizes if the winner is a jeweler, the prize will be a fabric creation or a painting. If they are a fabric person it will be jewelry. Basically the opposite of the media the winner generally works in.